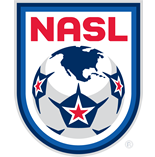 Atlanta Silverbacks midfielder Junior Burgos showcased his dangerous free-kick ability throughout the Fall Season, and he earned NASL Goal of the Year honors, the league announced on Thursday. Burgos’ strike against the San Antonio Scorpions was selected by the fans as the top goal from the 2015 regular season. Burgos scored four goals during the year, all from set pieces – three on free kicks and one from the penalty spot. It was the goal against San Antonio, though, on Aug. 8 by the 27-year-old that was deemed the year’s best. With the score tied, 1-1, at Atlanta Silverbacks Park, the Salvadoran midfielder stepped up to take a spot kick from the left side. He sent his curling effort over the wall and the ball dipped into the side netting past the diving Scorpions goalkeeper Matt Cardone. The match would finish 3-3, but marked the first of Burgos’ finishes from free kicks of the season. On the year, Burgos scored four goals and had six assists in 17 appearances for the Silverbacks.